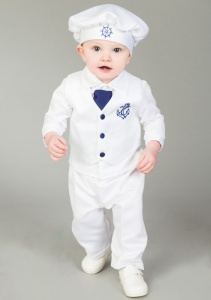 Baby boys white & navy anchor 5 piece satin suit, perfect outfit for any special occasion including a christening, wedding, special occasions etc. 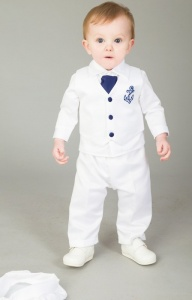 Waistcoat: White satin effect waistcoat with a navy embroidered anchor on the front, fully lined, 3 centre buttons, plain back. Tie: Navy satin effect scrunchy tie with knot. 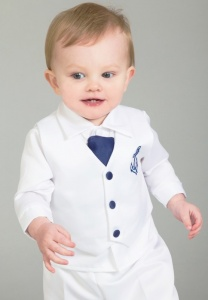 Elasticated for the perfect fit, complimenting the suit perfectly. 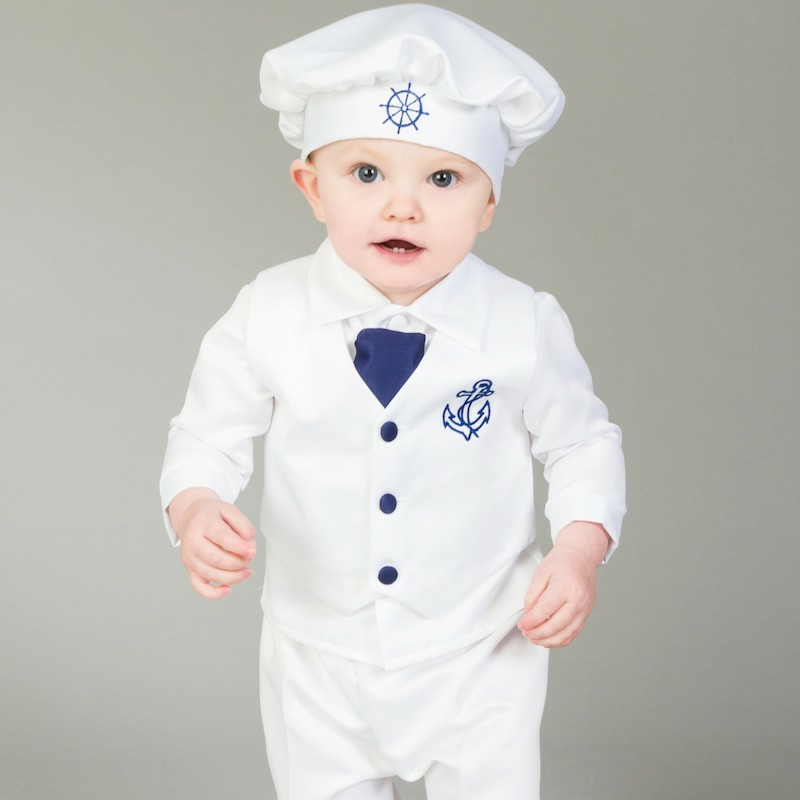 Hat: This white baker style hat has a navy nautical wheel embroidered on the front, elasticated on the back for the perfect fit. Perfect size and nice material.